Everywhere around us, things seem to be getting more and more complex. And it’s not good for our health or for the planet. Whether it’s 35 different choices in the water aisle (!) at the grocery store, or the new need for “smartphones” to organize every detail of our totally overwhelmed lives, or the gazillion forms you have to fill out to pay for medical care or to maintain your farm’s organic certification, we seem to be increasingly burdened as a society by overchoice, micromanagement, and unnecessarily convoluted bureaucracies. When the continuous operation of a system relies on a long and complex chain of crucial suppliers and resources, all running smoothly, that’s pretty much a textbook example of an unsustainable system. Put another way, the systems we take for granted to deliver everything from plasma-screen TVs to food and fresh water are significantly more vulnerable than we may think. I mean, would you be prepared if you lost electricity or water to your home for more than a week? From greater health to greater happiness, simplification has so many benefits that it would not be possible to list them all here in detail. But here are four benefits that I think capture the essence of simplicity, and destroy the myth that complexity is a good or acceptable thing. This is self-evident, for the fewer stages there are in any process, the less energy will be consumed overall. You could argue that heating a house with a load of wood and a hole in the ceiling is more energy-intensive than a combination gas boiler, but—setting aside the difference between renewable versus non-renewable forms of energy—in order to manufacture the combination gas boiler in the first place requires a similar number of processes as to manufacture a television. If you want more efficient heating, building a rocket stove from a few aluminum cans or cinder blocks is relatively far simpler. In addition, the more stages involved in anything, the less accountability is possible, and thus the more opportunity for energy waste. Following on from the previous point, accountability isn’t really about economics, it is about knowledge. If I were to buy a cord of wood that had originated from a forest far away, then it would have had to pass through a number of stages to get from the source to the user: the felling of the trees; the sawing and preparation of the timber; the movement to the port and subsequent transportation by sea and/or land to the point at which it is available to me, or at least the person who gets it to me. Through these different stages I have progressively lost connection with the origin of the wood; I have no sight of the trees, I cannot feel the soil, I cannot smell the air where the tree once stood. I do not care. That is the way of the civilized. Compare this to a person who cuts her own wood from a tree she felled, and uses it to build a shelter. In other words, people connected to their resources do not poop where they eat. As Thomas Homer-Dixon described so vividly in The Upside Of Down, complex societies are inherently unstable, for they rely on a multitude of different stages and processes connected by an equally complex set of linkages, any one of which can be critical to the efficient operation of the system as a whole. Bring down a major power line to a processing plant, shut down a distribution computer, or blockade a port, and the whole dependent system may break down, particularly one that is already under stress, as so many systems are in the just-in-time economy. If you grow your own food, or ideally are a member of a local community of growers, then you may be vulnerable to seasonal aberrations or pests, but so long as you do it right then your food supply is safe, and not subject to the hazards of complexity. Complexity is used to enforce the systems of control that the Culture of Empire uses to keep us subjects of that culture. One man with a sword can control perhaps half a dozen people without swords; one man with an agenda and a military establishment under his control can control entire nations. Within a cooperative society, a simple society working on egalitarian principles, no one can wield power without challenge. You have a say, as does everyone, for there can be no ivory towers or impregnable fortresses in the simple society—you need complexity to build them. According to Farnish, the mindset that brought us the equation “civilization = better living = mind-boggling complexity” is flawed and should be reconsidered in a 21st-century world of diminishing resources. Put another way, if “the end of the world as we know it” came tomorrow (and with climate change, it just might come much sooner than we think), who would fare better: the people in the world who are living in simple, cooperative agrarian villages, or the people in the world living in modern, industrial cities? There is no singular correct way to simplify our complex way of living. The challenge is to add a bit of radical simplicity and self-sufficiency to your life every chance you get. This means putting as few steps between you and what you need to be healthy and happy as possible. Plant an organic vegetable garden, or yardshare with a neighbor and harvest more together. Grow fruit or nut trees. Get rid of your TV, and in its place, take up something useful like making homemade yogurt, homebrewing beer, beekeeping, quilting, etc. Do any of the above with children. Join or start a Transition Community. Cloth diaper. Hang your clothes to dry outside. Install a composting toilet, solar system, wood stove, etc. Get “off the grid” to the extent you can. Quit eating foods that come in cans, bags and boxes. Buy local as often as possible, especially local food. Barter and share instead of buying whenever possible. Make your own house cleaners and toiletries. Commit to walking or biking everywhere you can. Try to buy nothing new for a year—except food, toiletries, socks and underwear. You may buy second-hand or do swapping, when needed. Join or start a food co-op, CSA or a credit union (or all three!). Get involved in political issues that affect your natural resources. Dangerous corporate practices like fracking, mountaintop removal, GMOs, and the like threaten our ability to survive for generations to come. What are you doing to radically simplify your life this year? I agree. Less is more. The fact that our economy is based on consumption has to change. Wow, so inspiring. I’d love to live like that, off the grid and not wasting so much money. I’m on a slow path towards it and at some point in my life I hope it all comes together. Thanks for giving me so much to think about. You can link up from Friday to Tuesday. I’m sure our readers would love to read this too! Thanks for the invitation! I do love your blog! Just wanted to give you the heads up that I featured this post on The HomeAcre Hop! Congrats! Thank you so much for sharing this on Eco Kids! What an amazing list to challenge me! I would LOVE to stop using foods that come in boxes and bags. I know that it’s do-able, but I’m not quite there yet. Thank you for bringing things into focus! I love what you’re saying! I hate how hard it is to accomplish. Don’t get me wrong, I am always psyched to learn how to be more self reliant. Hence the towering stacks of canned food in my apartment. In fact I do a lot of things on your list. One of the things that overwhelms me is how many things I want to do that are illegal and controlled by government and bureaucracy. Thanks, Dawn…Awesome post and resultant conversation…! 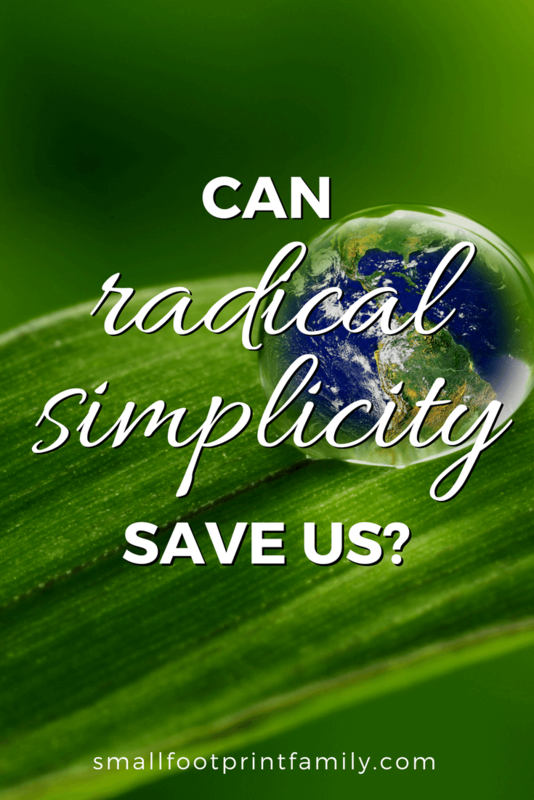 There’s a great book entitled “Radical Simplicity” about the awakening and life simplification of the author, Jim Merkle, an ex-employee of the military-industrial complex turned locavore/activist . His journey to simplicity defines radical and is an inspiration to us all…Highly recommended!!! Just found you on Thrifty Thursdays and am following you now. Several of these steps we have already taken but others…we have yet to meet the challenge. However, you’ve inspired me to keep getting more radical – thank you. Let me know if you would like to guest post on Mumtopia. So glad you’re here! 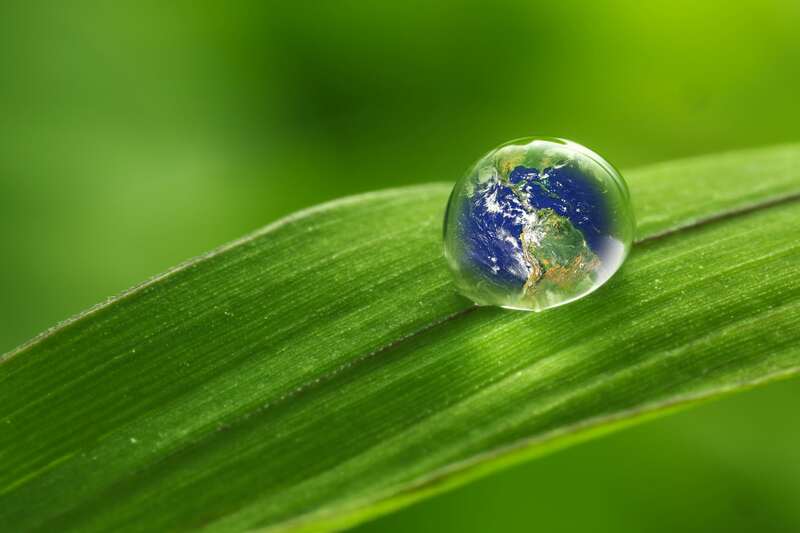 The more on the path to sustainability, simplicity and natural abundance, the merrier! Thanks for the invitation! Will do! What a wonderful post! I have been trying to get my family to as low an impact as possible. What I find difficult is having one foot in the formal economy still, while I am trying to make all of these changes. We grow a garden, have our own chickens for eggs, have CSA shares in the summer and winter and buy as much locally produced food as possible. We only have one car, which my husband uses to drive to work. Where we struggle is in buying “things.” We rarely shop, but sometimes we do end up buying stuff and it is a lot harder to find everything we need locally, then it is to just drive to a big box store. Hence not shopping very often. I convince my husband to build a lot of things we seem to need, and we are able to source wood locally. Things on my list would be to get a new chimney so we can install our wood stove, and continuing to get rid of everything in our house that is just collecting dust. I couldn’t agree more, Susan! Once our basic needs are met, more stuff doesn’t seem to make us any happier, and the increasing complexity in our lives seems to only make us more and more unhappy. The simpler life seems to be a much more fulfilling one, in addition to being sustainable. Excellent post! In the spirit of “eat locally”, I would like to add: Try to work locally. We waste a lot of carbon emissions on commuting. Push for telecommuting if you can: even part-time telecommuting will save you on time, gas and stress. Love this idea. I’ve been slowly coming around to a simpler life, but a bit of “radical” might do me good. Saving this in Evernote to read again and again. Thanks Dawn for this informative and thought-provoking post. I especially liked the link on Transition communities. Never heard of them before. I’ll include a link to my blog and pictures of trees ready to be cut up for firewood. Hope you like it. This is the myth created by governments to disempower people – that individuals are only responsible for a minority of emissions; but the thing it, who buys the stuff that causes the cargo ships to be used, who uses the electricity that causes the power plant emissions, who buys the paper and palm oil that causes the deforestation – the only thing that’s directly out of our control is war; and that doesn’t have to happen if we stop believing the myths of Empire. You are far more powerful than you realise. Which brings us back around to why doing things to foster greater personal and community self-sufficiency is so important. Thanks for reposting this – I liked your development of the ideas; and I’m not surprised it can be taken in all sorts of directions as it’s such an obvious concept: simple is good. I would only take issue with your last point: “Write to your local and federal legislators and demand strong and swift action on climate change and renewable energy in your community.” This is out of kilter with all the other (good) tips, for it suggests that the behemothic, and complex, systems of government are for the good. Local, representative, consensus-based decision-making is a good thing: we don’t have that. They work for corporations, not us. Thanks so much for commenting!! I actually agree with you completely about how governments (especially federal) work for corporations, not us. However, given that most pollution is created by corporate activities (e.g. just 16 cargo ships emit more sulfur dioxide than all the cars in the world!) and given that governments are supposed to work for us, I’m not sure what else we can do to create change in this realm!! Though incongruous with the rest of the list, sometimes lobbying (or protesting) the government works, especially at a local level. However, doing so shouldn’t be at the expense of putting most of our energies into rebuilding vibrant, self-sufficient, low-carbon communities. For I believe that is truly the only thing that can sustain us.